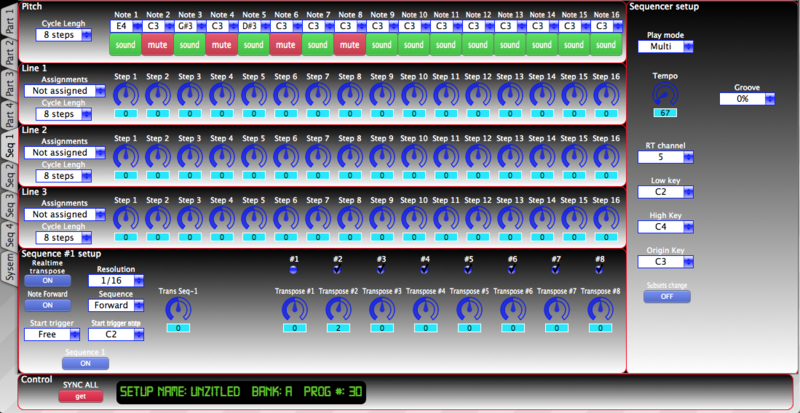 My Control Panel for Quasimidi Polymorph. Panel can manage synth’s parts and sequences. Controling part is mostly bidirectional becouse use CC. “Sync All” button read current patch. Global midi channel on Polymorph must be set as 1. I’m waiting for responses and wishes. 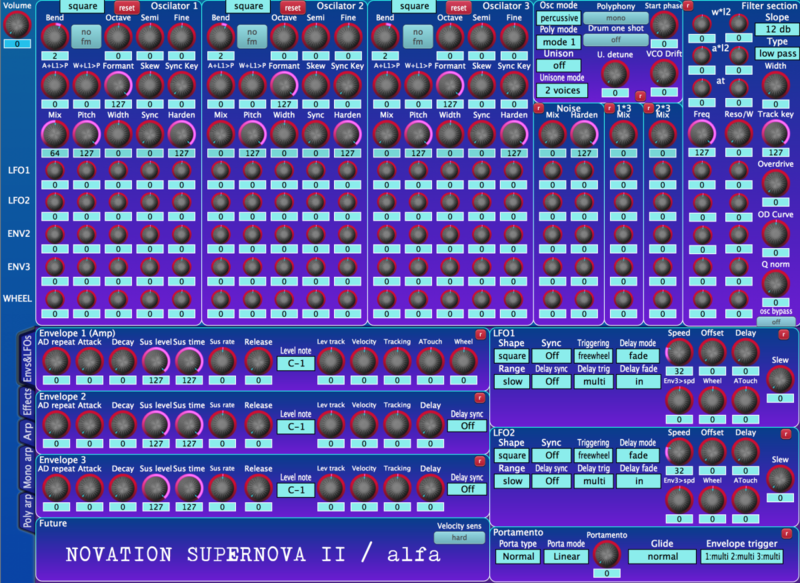 This is my own Supernova 2 editor. It’s cover Osc, Filter, FX & Arp sections editing. Red buttons initiate subsections. There is no performance editing. 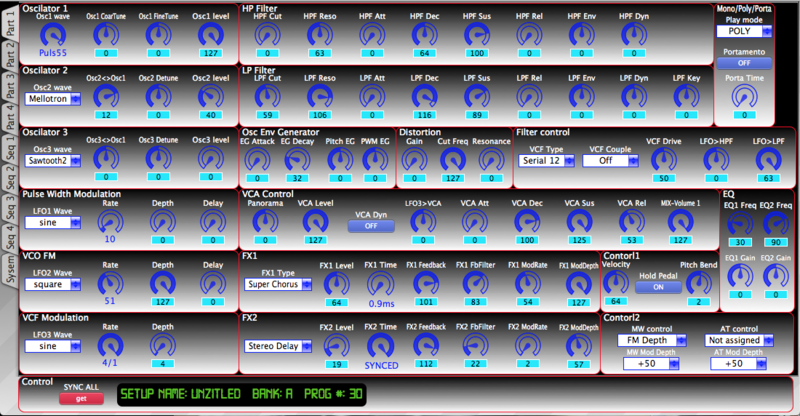 I’m going to add some more features like editing vocoder section and manage performances. –CURRENTLY SELECTED SINGLE PROGRAM READING FROM SYNTH!!! –I’ve fixed some errors & omissions especially in Portamento section there some params I forgot to tune for sending proper midi messages. –fm knobs names are fixed. UPD: [14-09-15] I could get MIDI sysex format data by reverse engineering technique and began to program loading patches from synth! In fact Novation made 2 sysex packets per patch. The first is nova/supernova’s format data for compatibility reasons. And the second for supernova 2 unique parameters. This is why my control panel will be able work with old nova’s & supernova’s as well as the second generation. I hope to complete programming during September. P.S. Don’t hesitate to leave comments or/and responses.